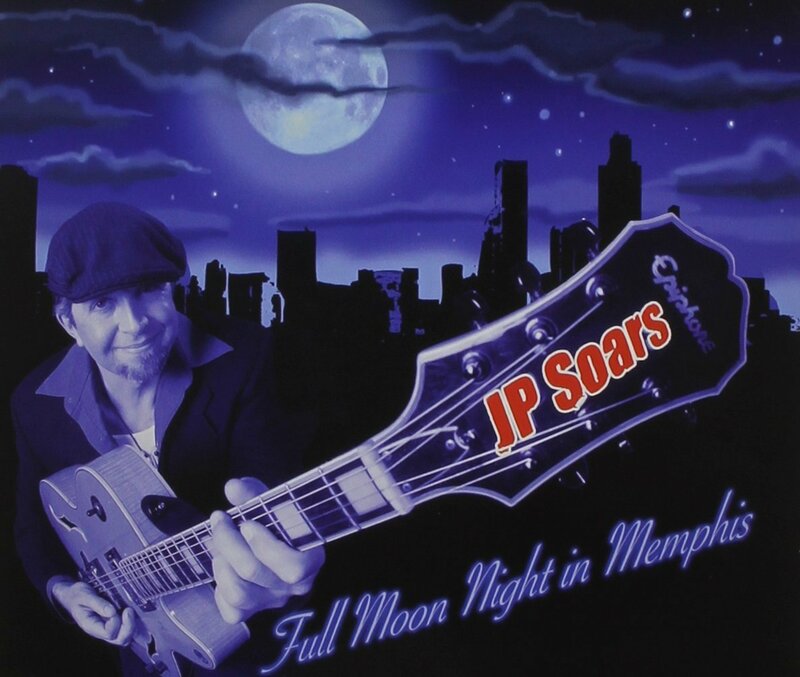 JP Soars is a seasoned guitarist, singer, and songwriter out of Florida, and his latest release Full Moon Night in Memphis is a heady piece of work. If you have not heard of him, you should have: he won the 2009 IBC in Memphis, a Blues Blast Music Award for Best New Artist Debut, and he teamed up with Damon Fowler and Victor Wainwright to form the all-star band, Southern Hospitality. This is his third solo album, and he was joined in the studio by Todd Edmunds on Bass and Chris Peet behind the drum kit. The disc comes in at nearly an hour, and includes twelve original songs and two covers. 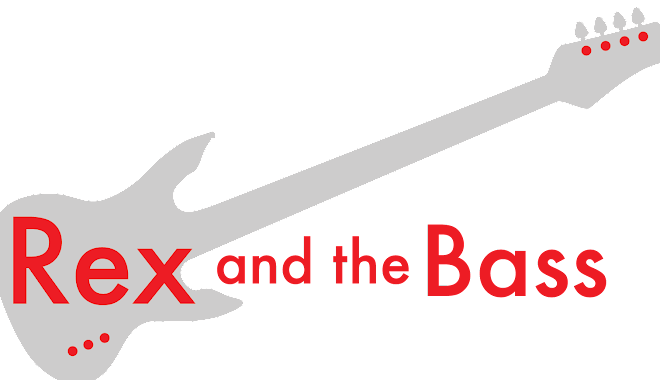 The band kicks off their set with the title track, and there is nothing here but pure hard-rocking blues. 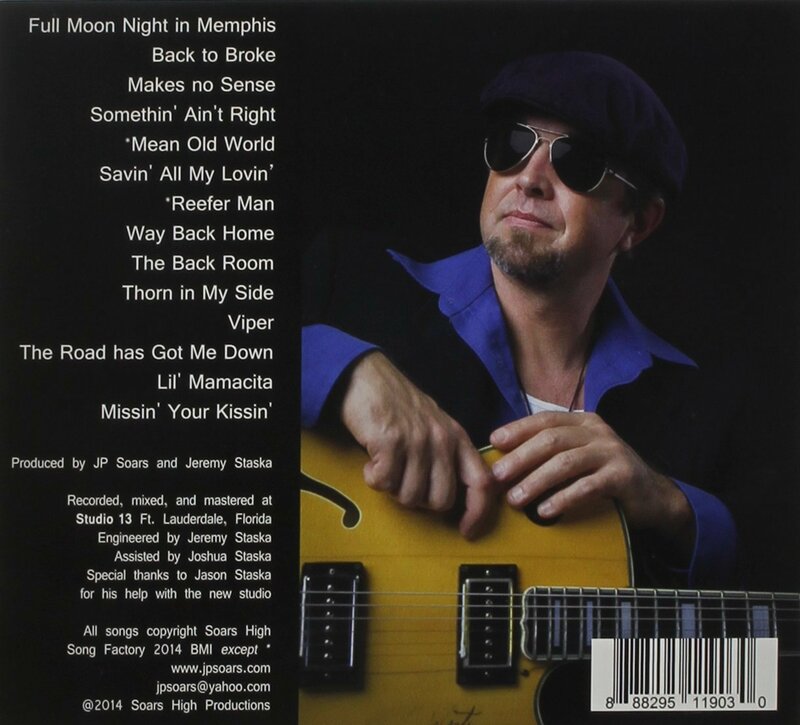 “Full Moon Night in Memphis” is full of greasy electric slide guitar, growly vocals from JP, fat bass, sharp drums, and a little harmonica help from the ace-high harpman, Brandon Santini. Santini also sits in on “The Road Has Got Me Down,” a countrified tune with pedal steel and sassy backing vocals from Teresa James. This track is recorded well, with a good mix and writing, which bodes well for the rest of the album. As things move along, there are no distractions in the production or lyrics to keep you from enjoying each song. Besides Santini, there are a few other guest artists sprinkled throughout the album, including Mark “Muggy Doo” Leach on the Hammond B3. He appears on the funky second track “Back to Broke” as well as on “The Back Room” and “Thorn in My Side.” The latter is a bit of a departure from the rest of the material as it has a more of a contemporary southern rock feel with the B3 setting the mood and some wonderful slide work from Soars. Nobody is going dispute that JP Soars is a fine guitar player, and if they did have any doubts about his talent “Lil’ Mamacita” should be enough to convince them. This acoustic instrumental is full of guitar fireworks, cool Latin groove on the drums, and a simple yet satisfying bass line. Raul Hernandez adds a little Latin percussion punch to the proceedings on this one. After this, the set draws to a close with “Missin’ Your Kissin’,” a lovely swing song that features Terry Hanck on the saxophone. Soars and Hanck are completely off the leash for this track, and they each deliver red-hot solos. What a cool way to finish things off! Full Moon Night in Memphis from JP Soars is his finest work to date and a must buy CD for blues fans as every track is a very good listen. And if you are around south Florida any time soon check out his website as he has a few gigs scheduled before the end of year. You will have a blast, guaranteed!